Home / Mach-Tool in Poland! 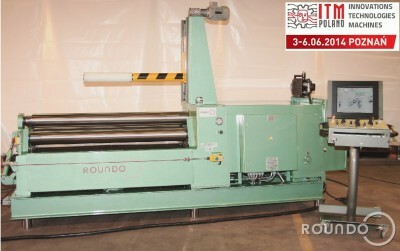 Do not miss the Machines and Tools Exhibition in Poznan, Poland, 3rd -6th of June. We and our Agents Pol-Sver will be located in Hall 5, Stand 97 with our ROUNDO Plate bending machine PASS 150 + CNC and other selected optional equipment! You are welcome to visit us and try out the machine!